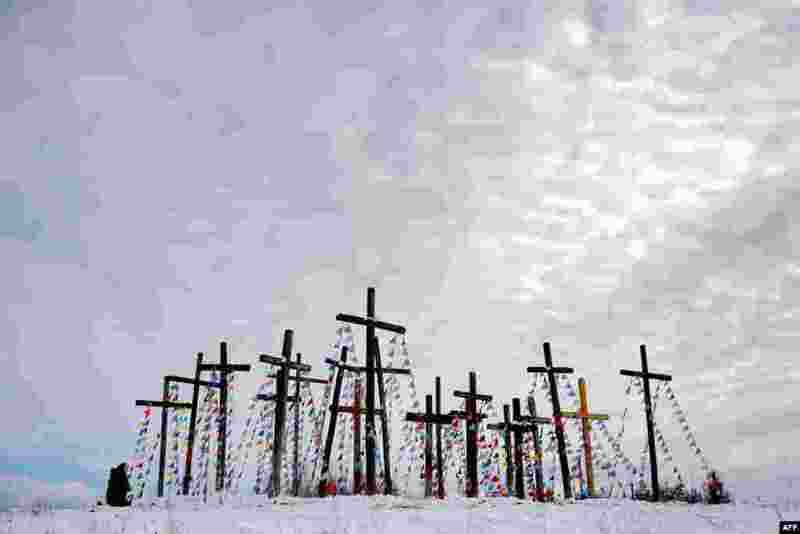 ١ A woman prays on a hill with wooden crosses as she celebrates Palm Sunday in the town of Oshmiany, some 130 kilometers northwest of Minsk, Belarus. 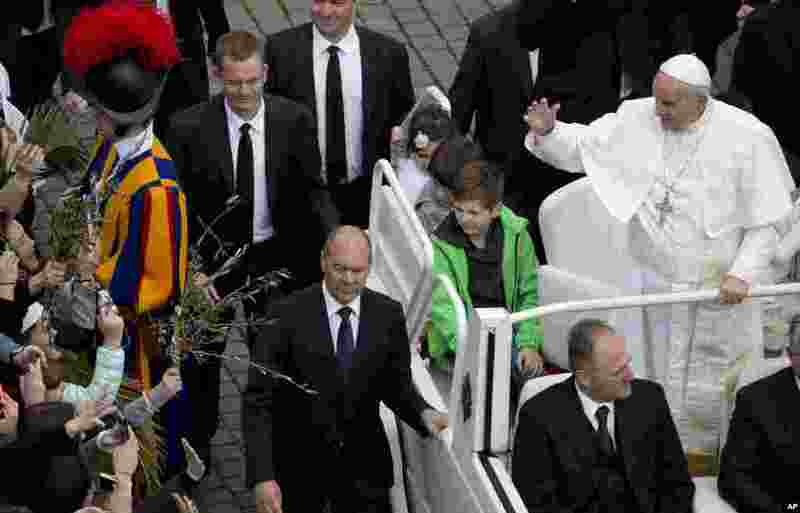 ٢ Pope Francis, flanked by children he invited on his pope-mobile, tours St. Peter's Square at the end of a Palm Sunday Mass, at the Vatican. 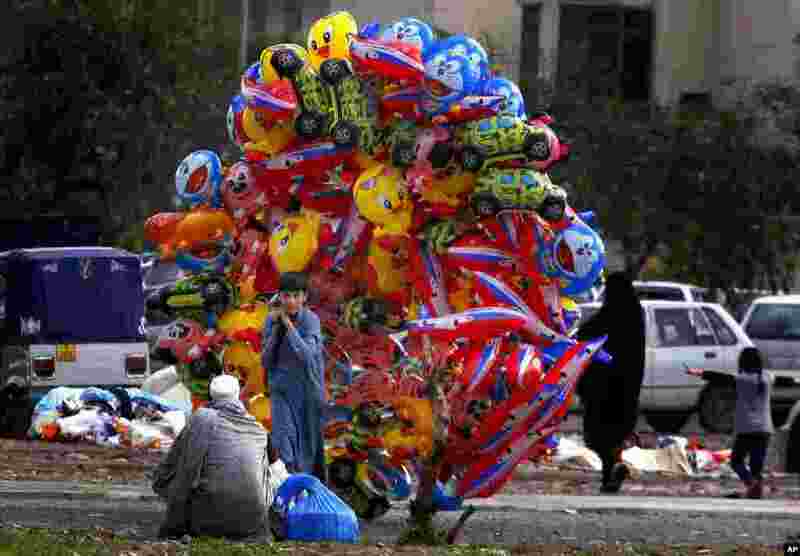 ٣ A boy sells balloons on a street in Peshawar, Pakistan. 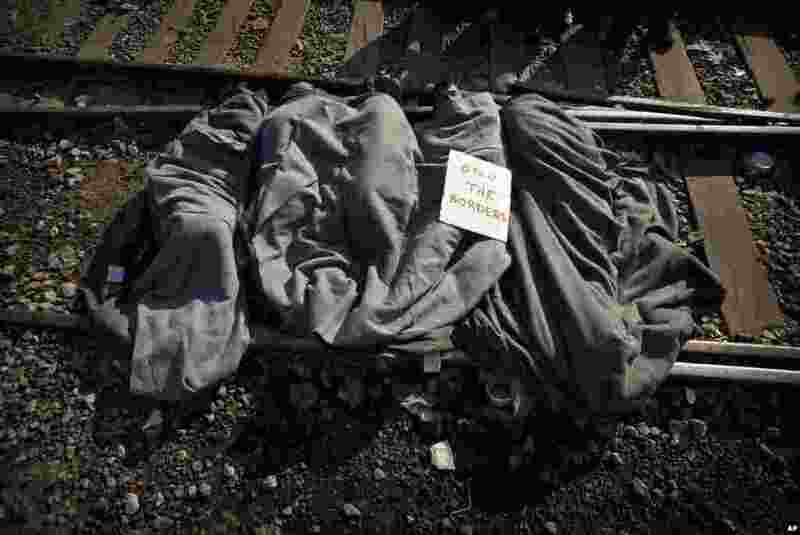 ٤ A banner is placed on Syrian migrants who slept on the railway tracks protesting the border closure and preventing freight trains from passing between Greece and Macedonia at the northern Greek border point of Idomeni, Greece.